Vallejo police say their investigation concluded that none of the claims related to Denise Huskins' kidnapping case were substantiated. VALLEJO, Calif. -- A 29-year-old woman reported to have been kidnapped for ransom turned up safe Wednesday morning and Vallejo police say they believe the abduction never happened. Denise Huskins vanished earlier this week, mysteriously showed up in Southern California, and has since disappeared again. Police can't find her or her family and now say the whole thing was an orchestrated event. Vallejo Police Department spokesperson Lt. Kenny Park said at a press conference Wednesday evening that there was never any evidence to substantiate the claims of a kidnap for ransom plot. That may explain why Huskins failed to respond after authorities offered to fly her back to Vallejo, on a private jet, for questioning. Wednesday evening the Vallejo Police Department held a press conference to discuss Denise Huskins' disappearance case. 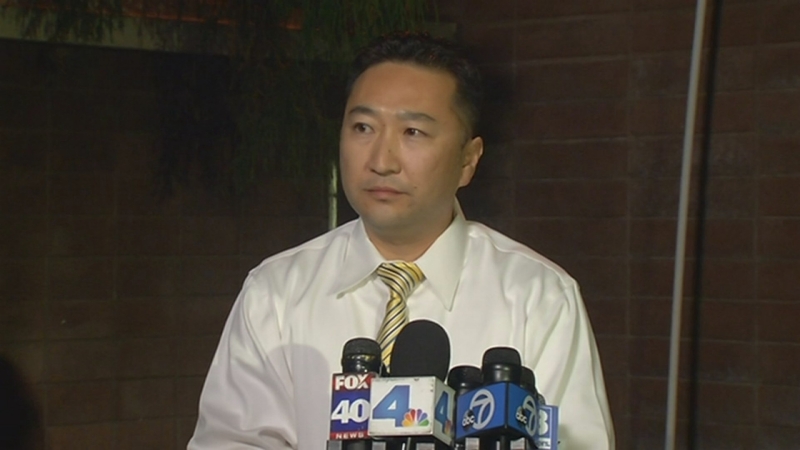 Park said, "As of right now, we have not heard from Ms. Huskins and we are no longer in contact with any of the family members." Huskins turned up Wednesday morning at her mother's house in Huntington Beach after claiming she was kidnapped. The ransom demand was $8,500. Vallejo police say she is refusing to talk to them and she has hired an attorney. Huskin's boyfriend, 30-year-old Aaron Quinn told police Huskins was forcibly kidnapped from his home on Mare Island, early Monday morning. "The statement that Mr. Quinn provided was such an incredible story, we initially had a hard time believing it," Park said. On Tuesday, the San Francisco Chronicle received an anonymous email saying Huskins' captors would release her if authorities did not to pursue them. They also sent a voice recording of Huskins verifying she was OK.
Then around 9:30 a.m. the next morning, she called her father and said her captors dropped her off in Huntington Beach. We asked her uncle if he thought she was somehow involved. Jeff Kane replied, "No way! To me... no way in the world. This was the most stable of individuals that I'm around, you know." But now police say it's apparent this was an orchestrated event with no evidence to support the claims and charges will likely be filed. Police say they had over 40 police detectives on the local, state, and federal levels and over 100 support personnel assisting in the investigation, working around the clock to help locate Huskins. "I can tell you in the grand scheme of things, Mr. Quinn and Ms. Huskins has plundered valuable resources away from our community and has taken the focus away from the true victims of our community, while instilling fear amongst our community members. So if anything, it is Mr. Quinn and Ms. Huskins that owes this community an apology," Park said. "If you can imagine devoting all of our resources 24-hours a day on, what I would classify as a wild goose chase, it's a tremendous loss. It's disappointing, it's disheartening and the fact that we've essentially wasted all of these resources for really nothing is upsetting." Police said with certainty that this was not a random act and that the members of the community are safe.